My first time traveling solo was an extraordinary event in my life. It made me more confident with myself and I want to experience it again. I have a post where girls from different parts of the world talk about traveling solo while in a relationship. Another post is about girls traveling solo while married. If you can relate to these girls, I hope you can read the article. They are such an inspiration and I hope that they can inspire other girls to travel solo. I said it before, traveling solo is an experience that is liberating, exciting, and scary all at once. If you want to try it and do not know where to go. This list might help you. Pretty sure you have seen the movie, “The Fault in Our Stars”, which made us fall in love even more of Amsterdam. Also, if you think of the romantic canal cruise scene, you might think that Amsterdam is solely for couples. However, I don’t see it that way. For me, Amsterdam is also one of the best places to travel while being single. It is such a lively city filled with lots of exciting destinations all day long. For your daytime itinerary, you can visit museums like Van Gogh museum and Rijksmuseum for some “art appreciation”. It is perfect for single travelers who are in love with arts. If not, you can take the Dutch countryside day trips from Amsterdam and head back to the city just in time for you to experience the Dutch nightlife. I would say that the nightlife in Amsterdam is the best! If you’re single, you wouldn’t have to worry going home early for your beau. You can spend all night partying, meeting new people and smoking weed (legally). And by the way, you’re not only limited to meeting Dutch guys since Amsterdam is also a popular tourist hub. I was glad I was single when I went there last year. I had the chance to party until I drop.. It was crazy! Budapest is possibly one of the coolest cities for singles, just because of its ruin pubs. You can choose to take an awesome bar tour where you can meet other fellow travellers. Go to Vorosmarty square at around 8.30pmwhere you can pay the guide directly. It costs just 4 euros and includes a sampling of some of the most potent drinks, from palinka to unicum and tattratea. Your guides will show you the hotspots as well as give you insights on Hungarian drinking culture. Outside the pub tour, you can also head on to Szimpla Kert, which is a classic ruin pub. You have everything vintage here and just walking down the street is some of the most vibrant nightlife you’ll ever experience! However, make sure you get there earlier as spaces fill up quite fast! The doner place right opposite is perfect for a post midnight snack. An amazing place that I enjoyed the most when travelling solo and being single was The Tayrona Nation Park in Colombia. Located next to the Atlantic Ocean in the lush jungle, it is a perfect place to catch up with experienced travellers from all over the world and admire virgin nature of Latin America. You can go wild and sleep in a hammock for a few days only 10 metres away from the ocean listening to its wild sounds or you can rent a tent or a cozy room for yourself. You will have enough time to be with yourself discovering ancient vestiges of the local nations in the jungle or just meditating near the water. At the same time, atmospheric evening-parties with fellow travellers will not let you even think of being lonely or in a blue mood. A perfect combination of harmony and fun makes a great rush away for everyone to this magical piece of our world. Cali Colombia is the home of the world’s best salsa dancers. There are plenty of great spots to take cheap lessons during the day and friendly salsa bars at night. Go with a group of friends and you’ll find locals are open to meeting new people. You’ll know where to go as some of the best salsa clubs spill out into the streets where you’ll find people dancing out front. As a perpetual solo female traveler, I am always looking for great cities that other single females can enjoy. And while I have traveled all across the globe, my absolute favorite place to travel solo is Edinburgh, Scotland. Not only is this city a safe and friendly place to explore alone, but there is so much to see and do that you’ll actually forget that you are all alone. Between the majestic natural beauty of Arthur’s Seat, the historic charm of Edinburgh Castle, and the many vivacious cafes and pubs that line the Royal Mile, you definitely won’t get lonely or run out of things to do. So if you’re looking for an exciting and enchanting destination for solo female travelers then definitely check out Edinburgh, Scotland. Plus, while you’re there you can grab a Tartan scarf and say hi to Greyfriar’s Bobby for me, the precocious pup that faithfully sat by his master’s grave until he too passed away. Goa, India is part of the old hippy trail. In the 60’s, hippies flocked here to these beautiful beaches in search for something spiritual and peaceful. Today their vibe is still there. This is a very relaxed state in India where you can meet some of the friendliest people who are all there for the same reason. Weather you there to soak up the sun or hire a scooter to do some exploring there is something for everybody. The beautiful beaches come to life at night where there is plenty of entertainment with bars that are lined up along the beaches. North Goa is more for the party goer and South Goa is a little quieter but still has a great atmosphere. Around new year is the best time to visit you will meet people from all over the world and guaranteed you will have a great experience. When you are single and planning a trip somewhere, specially to a foreign land, safety should be on the priority list. For India, I suggest you a visit to the southernmost part of the country, Kerala. The state boasts of the country’s highest literacy percentage and thrives of abundance of nature. There are serpentine back waters where houseboats sail lazily. There are the mountains of Nilgiri range which produces fine coffee beans and exotic spices. The coastal area runs of the west of the state. Choose a nascent beach for a quite vacation of party all you want in the small towns of Kochi. A rich history and heritage is reflected in the Kerala cuisine (meen Mali or Syrian egg Roast). In kerala resides Hindu, Muslim, Christians and Jews from ancient time, resulting in a unique unity in diversity, which is also the identity of India. Plan your Kerala itinerary while keeping in Munnar, Allepey, Periyar, Varkhala, Kovalam in your mind. The harvest festival of Onam is another extravaganza one must not miss. Lisbon is a destination that looks like a postcard no matter where you go. From ancient ruins, bright street art, cobblestone streets, bold mountains, tilework laid homes and tight alleyways. Flowers and plants adorn houses that are covered in bright colors. The hills of Lisbon make for panoramic views of a vibrant city at the expense of a bit of cardio. This city is a picture-perfect destination for that single traveler who is looking to explore. The lure of this city is matched by its dynamic food scene. Food is ingrained deeply into Portuguese culture. Most memories are made with a full stomach and an even fuller plate. An up and coming “foodie” destination, the options on where to find a good meal are endless. Try a bit of traditional food like some bacalhau (codfish), prego (steak sandwich), bifana (pork sandwich) or ANY of the endless, VERY FRESH seafood options. I can promise you they are all good. Wash it down with a Sumol ananás (pineapple fruit drink) or a Sagres (Portuguese beer). Deserts are ALWAYS A MUST and I HIGHLY recommend eating my personal favorite, Pastéis de Nata (egg custards). New fusion restaurants are popping up all over the city mixing traditional with new and creating a glorious culinary blend of flavors. The people are some of the kindest you’ll ever meet and a short conversation with anyone will likely result in you being invited to their home for dinner and a chance to meet the family. The excellent nature of Lisbon’s inhabitants is just as excellent as the city’s nightlife. Parties all over the city are fueled by exquisite wine, passionate music and a desire to stay out until the sun rises. The ideal place for a single traveler looking to marvel at a gorgeous, gothic city, eat well and leave with more friends than they started with. You’ll arrive single and leave in love with the city. 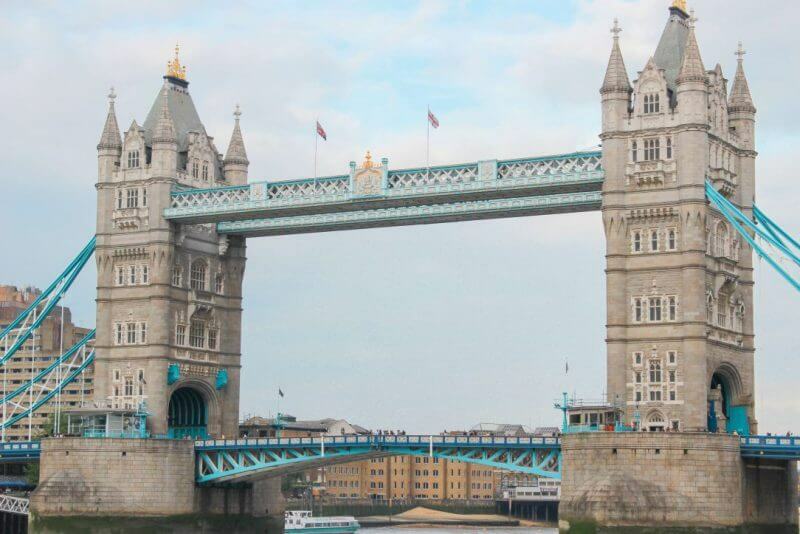 London is one of the BEST places to travel solo simply because of the variety of experiences available. Are you the kind of girl who likes to spend all day in art galleries, wistfully examining the best the Impressionists have to offer? London has you covered. Would you prefer to people watch from cute local cafes? You can do it in London! What about taking in street art or the some of the best live shows in the world? Head to Shoreditch or the West End, respectively. The Tube has got to be one of the cleanest, easiest to navigate public transportation systems in the world – so getting around solo is a breeze. There’s a sign and explanation for nearly everything…because as my dear English friends like to say, “If everything weren’t labeled, we might actually have to speak to each other.” But don’t let that deter you – Londoners are quite helpful and will happily point you in the right director. If you’re looking to meet someone on your travels, I hear Mahiki near Green Park is quite popular with the royals 😉 Sadly Prince Harry is off the market, but he does have plenty of cousins. I know that considering the tense relations between Russia and the West, many Europeans and Americans are afraid to come to Russia. What I want to say is that all these fears are extremely exaggerated and Russia is as safe as any other European country, and, just like in any other place, one has to follow general safety rules here. So, come to Moscow, it welcomes everyone! Security in Moscow is taken very seriously: there are metal detectors in every subway station and museum. I felt safe even when I was in a park at late hour or at an observation deck surrounded only by bikers in leather. Being a big city, Moscow can satisfy all tourists. If you want to have some time alone, just walk along its streets or sit in a nice café with a cup of coffee and enjoy. And there always are many people around, so you will definitely not feel lonely! If you are into art, you can choose any of the multiple museums of Moscow and have some time for yourself enjoying the masterpieces. Actually, you don’t even have to visit a museum, there are sculptures exhibited right in the park in open space. More into nature? There are numerous parks, and my favorite is the Gorky Park: it is in the very center, very lively, with lots of activities like roller-skating, cycling, skateboarding, and one can rent a boat as well. Are you an architecture buff? Trust me, you will find a lot of places in Moscow to satisfy your craving for beauty, starting with the famous Red Square and ending with amazing churches, and many of them are real masterpieces! there are many young people, so, naturally, clubs and bars are abundant. Just do a Google search! The quickest fix to a break-up is to pack your bags and travel. Spending quality time solo and giving yourself a chance to meet others is a great way to put your life back into balance. If you like warm beaches, hiking, some nightlife, great food and a bit of the city, Nicaragua might just be the place for you! Located in Central America, neighboring Costa Rica, Nicaragua is paradise on a budget. With all around good weather with some occasional showers, it’s the place to be for a chill vacation. The nightlife is quite happening in cities such as San Juan del Our and Granada but if that isn’t your thing there are so many activities to engage in. The average 20-something to 30-something year-old traveler is more about the outdoors and exploring so you’ll find it easy to meet people along the way. If you’re looking for beach life and some good surf head to San Juan del Our. If you want to party a but stay for their Sunday Funday. Hostels all over the city host epic pool parties so come ready to drink, swim and play. Isla Ometepe is an island oasis composed of two volcanos. Between hiking, kayaking and riding bikes around the island, you won’t run out of things to do in the tropical haven. If you’re over the outdoors and want the “real” Nicaragua head to Leon. This city is full of busy locals and a mix of baroque, neoclassical, and colonial architecture. Enjoy the city views from the roof of the Cathedral of Leon. And if you miss the beach, it’s only about a 45-minute open-air shuttle away. Don’t forget to make a stop in the gorgeous Spanish colonial town of Granda. There are a ton of things to do here and it’s an easy stopover to get to Laguna de Apoyo. At the laguna enjoy the crater lake, sip on mojitos and hang out in a hammock! San Francisco is a beautiful and lively city with very friendly people, and it’s a great place for solo travel! There are so many things to see and do to keep you occupied, there are a lot of other travelers to connect with (if you want to), and above all, it is safe. Because it’s a land of hills, the pace is a little slower and you’ll often find that you get a smile or hello as you pass people on the street. Alcatraz is a MUST see and a great attraction to do solo because the ticket comes with a self-guided tour where you wear headphones the entire time. You should also make your way to see the Golden Gate Bridge for a selfie. Fisherman’s Warf is a fun time and has a lot of food options – you can even get a glimpse of the sea lions. There are also a lot of free walking tours throughout the city, which give you a great insight into the different neighborhoods and can provide some much needed social interaction for a solo traveler. One of my favorite trips as a single gal was my trip to Europe last April. I went a lot of places but perhaps the easiest to navigate on my own without a rental car and the friendliest locals was Santorini, Greece. This island is the perfect tourist destination for a reason! I arrived in the dead of night but I luckily scored an Airbnb in Thira that offered airport pickup directly to my apartment. After meeting the sweet hosts who had so many great recommendations and a much needed nights sleep, I woke up bright and early and hopped on the local bus to head to Oia. A cheap 2 euro drive sitting next to a chatty Greek lady who spoke broken English but had the brightest smile started the day off right. Walking around, seeing the blue domes, eating the huge chunk of feta cheese and fresh veggies, and getting the whole Santorini experience was beautiful. I got back on the local bus to head to Thira (next to a Greek fisherman who tried to speak Greek to me) to get ready for my photo session I booked. DEFINITELY do this! Yulia was incredible and I have wonderful pictures from such a stunning place. If a session is not in the budget, definitely invest in a cheap and light tripod and a remote for your phone or camera. DIY is easy if you don’t mind the crazy looks. I ended my stay on Santorini sitting at a rooftop restaurant chatting with the waitress, eating baklava, drinking a delicious cold glass of wine, and enjoying the spectacular sunset views that is one of the island’s famous point of interests. Sydney is the first place I visited when I was single and I totally fell in love with this amazing city. I wholeheartedly recommend it as a safe place to travel as a solo traveler. This is because of so many reasons like Sydney’s vast transport options including trains, buses and ferries, that connect every part of the city and run throughout the day. The city is a vibrant mix of people from all over the world and you feel right at home there. Sydney has a great tourist information center network too. You never have to fear about getting lost in the city. You can spot one of these visitor information centers, get free maps and guidance from there and enjoy exploring the city inside out. If you are traveling on a budget, there are many free things to do in Sydney that are absolutely worth doing. I especially loved the coastal walk at Royal National Park. Wonderful list! I can add to it Prague – amazing city, really safe and wonderful for first time solo travelers.